Edgar has been a civil trial attorney and lead counsel on jury and non-jury trials since 2000. In addition to civil trial work, Edgar has successfully argued appeals before the Third, Fourth, and Fifth District Courts of Appeals of Florida. He has handled construction, real estate, contract, commercial and liability cases from inception through trial and appeal in 14 counties in the state of Florida. Most recently, Edgar served as in-house litigation counsel to a privately held group of companies and engaged in real estate development, construction and banking litigation. He graduated from Florida State University in 1994 with a degree in Social Sciences and Economics, and from Quinnipiac University School of Law in Connecticut in 1998. 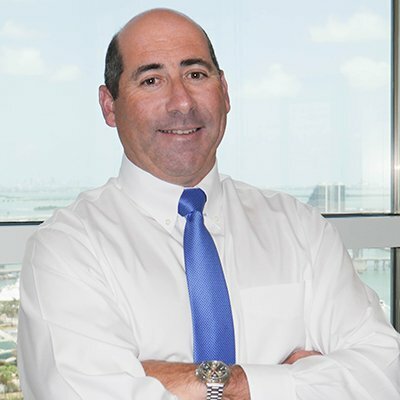 In his nearly 20 years as an attorney, Edgar has represented contractors, real estate developers, manufacturers, distributors, trucking and shipping companies doing business in Florida and Latin America. He is fluent in Spanish, and has negotiated contracts with entities in Panama, Venezuela, the Dominican Republic and Puerto Rico. Defended a plumbing contractor in a liability case where music recording equipment and valuable recordings were destroyed by a pipe leak during testing/inspection but prior to Certificate of Occupancy and obtained a zero dollar judgment for client; represented a concrete restoration company in a case against a municipal corporation which owned multiple residential housing buildings and obtained a complete settlement including attorney fees and costs following a jury trial; successfully settled on behalf of a mold remediation subcontractor a case against a large-scale construction company; represented a roofing subcontractor on all contract and lien claims over 10 years; represented a general contractor in breach of contract, construction defect and Florida’s Deceptive and Unfair Trade Practice claims in a trial in North Florida which was settled following opening statements; obtained a judgment for full contract amount plus attorney fees on behalf of material supplier in action to enforce a contract and bonded claim; handled multiple cases on behalf of paving subcontractor on federal interstate and county roadwork projects; represented a drywall contractor on hotel redevelopment project in the Florida Keys; represented subcontractor in foreclosure of multiple six-figure claims of liens related to hurricane repairs against condominium associations in a beachfront condominium community in Broward County. Initiated lawsuit in U.S. District Court on behalf of freight forwarding company related to sale of company to multi-national corporation & breach of contract, breach of fiduciary duty, fraud, fraudulent inducement and tortious interference with right to contract, settled for seven figures prior to trial; successfully argued and won summary judgment on behalf of a small, family-owned commercial used truck and equipment dealer in lawsuit following the sale of the dealership based on an alleged oral agreement; represented television production company in U.S. District Court in breach of broadcast and licensing agreement; represented partnership in action for partition of real estate, accounting and partnership dissolution; defended client in complex multiple commercial loan cases, with cross default provisions and provided complete asset protection/estate planning from execution despite personal guarantees; successfully represented consumers in lawsuits to enforce automobile and vessel warranties pursuant to the Magnuson Moss Act (lemon law); obtained a settlement for full value plus attorney’s fees prior to mediation based upon a bank’s failure to follow federal regulations which resulted in the diversion of hundreds of thousands of dollars to a fraudulent entity.